Come be apart of Our Saviour Youth Ministry! 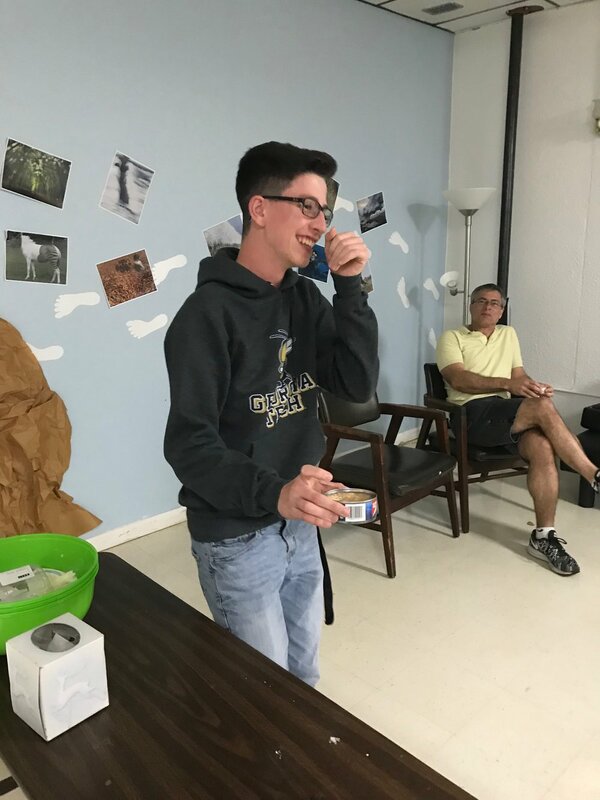 Our Saviour Youth Ministry is for 7th-12th grade students. We have regular meeting during the school year Sunday mornings at 9 for 7th-8th graders and Sunday evenings at 6pm for 9th-12th grade. 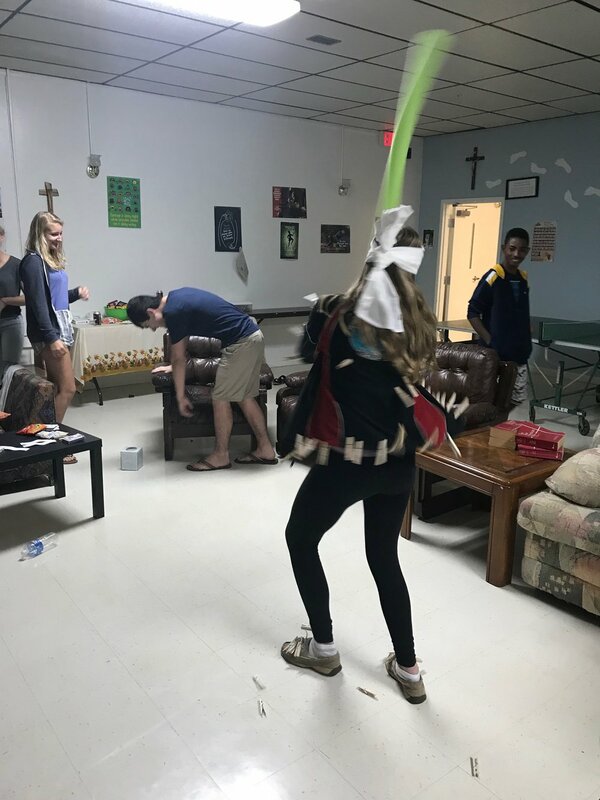 We play fun activities, build community, and most importantly learn about our Catholic faith. See the calander at the bottom of the page for all events. We meet most weeks in the Upper Room. The Upper Room is where the Holy Spirit came down upon the Apostles and changed their lives forever. For 7th-8th graders, meet at the school entrance before we head over. If you're in 9th-12th, go the school gym's entrance by the parking lot and you'll see our team there to welcome you. Our teens with Fr. Fred meet up before we head to the mountains of the Dominican Republic. Our our retreat, our teens made mason jar candles to symbolize how we are the light of the world. 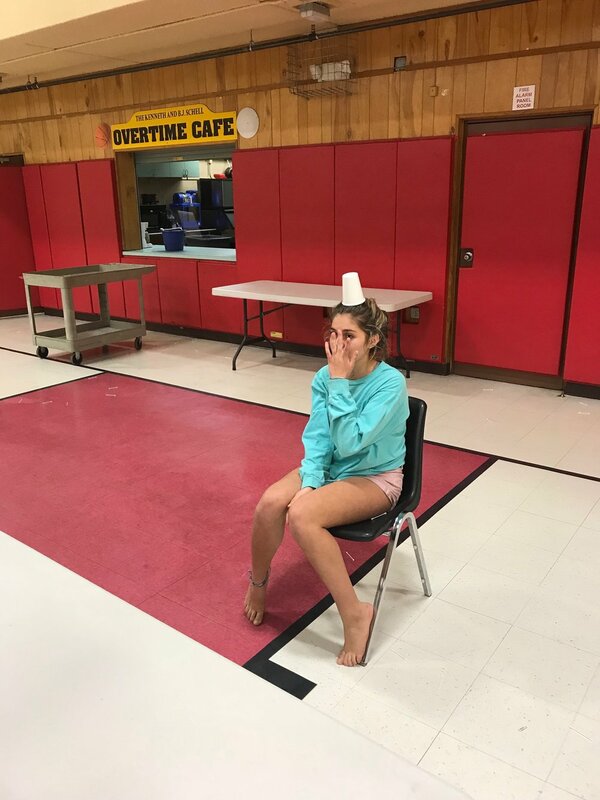 During Life Nights every Sunday, we play fun games like this one where teens, while blindfolded, tried to use water guns. 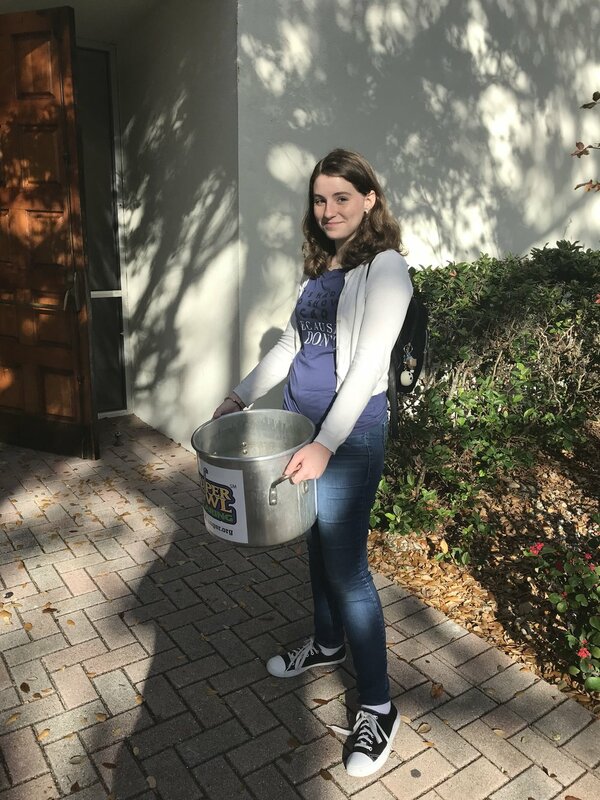 Our teens stand outside of church to raise money for St. Vincent de Paul in our annual Souper Bowl Fundraiser. Our teens led Vacation Bible School for the children in the Dominican Republic. 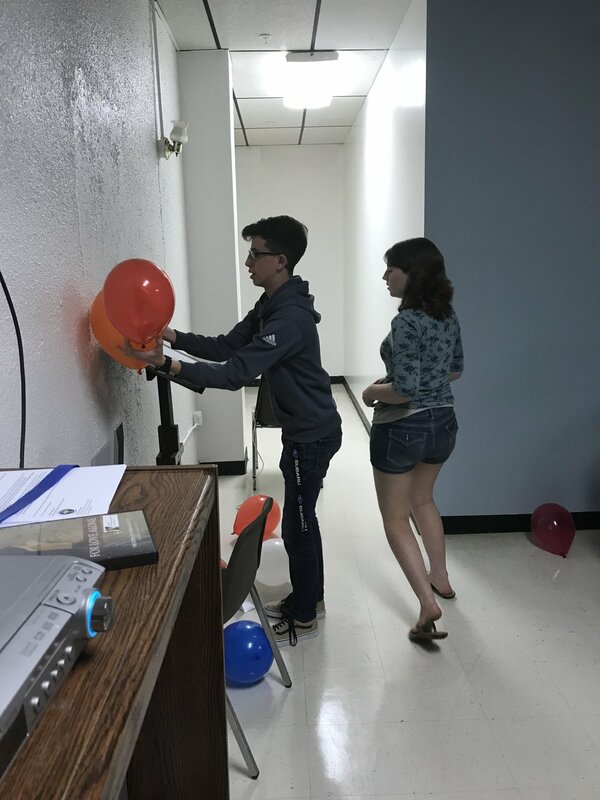 A teen prepares to search for the hidden water gun. Many of our teens traveled to St. Augustine to show their support for the unborn. Teens compete over eating mystery food items. Are you new or haven't come before? Join us on Sundays at 6pm! Check out ways to connect with us and see our calendar below. Fill out the form to reach our Youth Minister, Ashley Ell, or call 321-783-4554. Every year, we host a special mass and reception to celebrate our graduating seniors from the parish. This year the mass and reception will be on April 28th at the 10:15 mass. We will also have a special bulletin that weekend to highlight our seniors. To be featured in the bulletin, please fill out the questionnaire below and email a senior picture to aell@oursavioursparish.org by April 14th. Thank you! Remember to send a senior picture to aell@oursavioursparish.org by April 14th. Both are great places to stay updated with everything happening at Our Saviour. We regularly post photos and videos from our Life Nights, Edge Sessions, fun events, Retreats, and everything else we do. Click on the image below to connect with us on Instagram or the one on the left for our Facebook page. If you'll be joining us this year, please make sure all the relevant forms have been filled and turned in. Please email them to aell@oursavioursparish.org or bring them into the Parish Office. Address for the Parish Office is below. Students must be in the 9th or older to receive the sacrament of Confirmation. The students must also possess knowledge of the faith. Therefore, students must attend faith formation classes for two years in order to receive the sacrament of Confirmation. If you have any questions, fill out the question form above or call 321-783-4554.
Who are the Core Team? They are group of adults dedicated to sharing the Gospel with everyone they meet. They serve the teens in our parish every time we meet. They are the “Core” of what our program is about: following the Lord, loving Him, and leading others to God. We are very blessed to have such talented and welcoming people to serve our youth. Connect with us by email and text! Keep up to date on everything happening in Youth Ministry by signing up through Flocknote. We'll send out messages to let you know all the exciting adventures and plans we have coming soon. Click on the banner above or fill out your information below. Helping your family grow together can be hard. We have a free resource to help you grown your own spiritual life as well as your family. Check out Life Teen's Parent Life website for amazing content for you. Click on the image to sign up. Email aell@oursavioursparish.org for our parish code. Have questions about the Catholic Faith? For some of the best answers there are, check out the website Catholic Answers. For almost any question you can think of, you can find an article or quick response for it. Their store also sells great resources including books, MP3s, DVDs and eBooks. Click on the image to visit the site. Visit the website of the Diocese of Orlando for upcoming Catholic events, news from the Bishop, and much more. Click the button above or search your app store to download our parish app then join our youth ministry group.